A whole colony of Midge Orchids (Cyrtostylis huegelii) has started flowering in the forest. I found them 10 days ago on the 14th but was not able to identify them until they flowered. 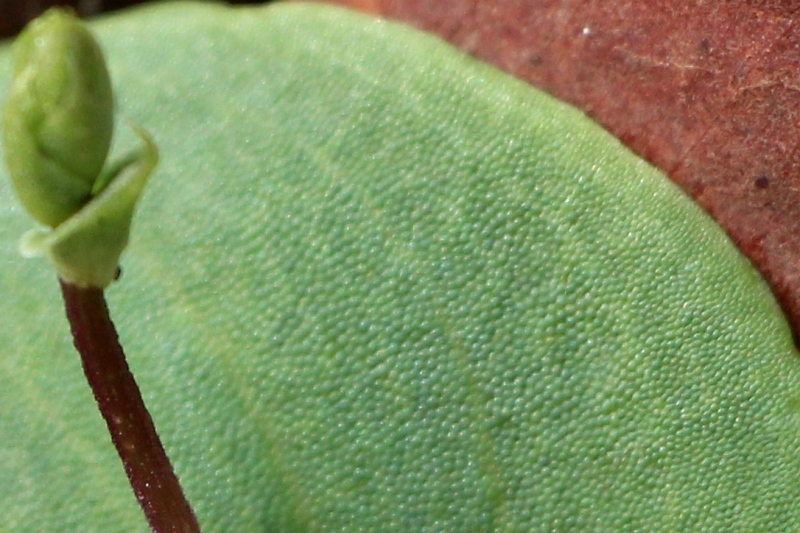 There are little bumps on the small ground hugging leaves(2-5cm) which closely resemble the leaves of Corybas or Helmet Orchids. 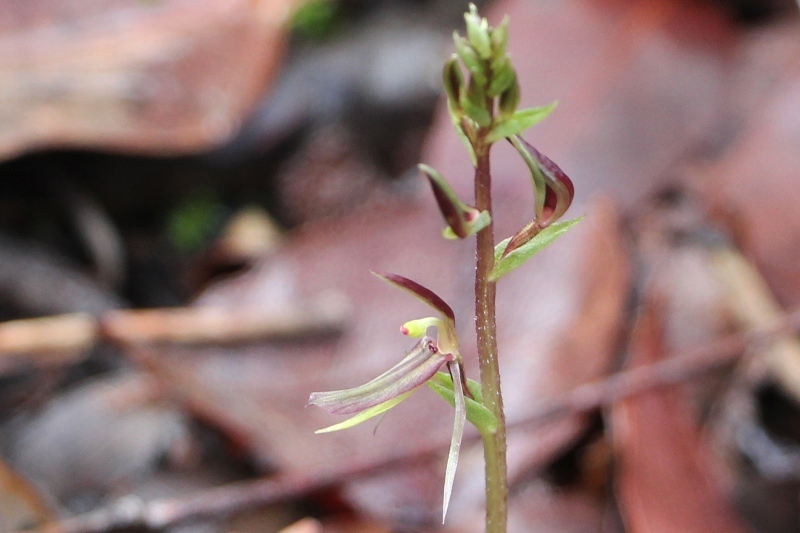 They are native to Western Australia and were called the Midge Orchid, after the small flying insect ( just like our goat Liponeura, who is named after a type of Swiss Mosquito). They are common in Jarrah and Marri forests and favour moist and shaded habitat, often forming colonies. They normally flower from July to September.